We're trying something a little different with our Show Me Yours feature this week. In addition to recommending some books in the original post, we're spotlighting some of our favorites that we've featured previously on the blog. So we'll be showing your ours all week long. This week's topic is fairy tale retellings. If you want to show us yours, comment on the original post. 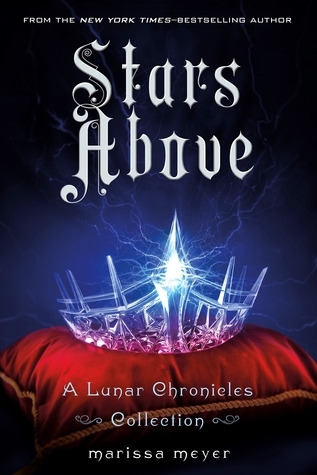 Two of my most favorite things in the world are sci-fi books and fairy tale retellings. What happens when you combine the two? 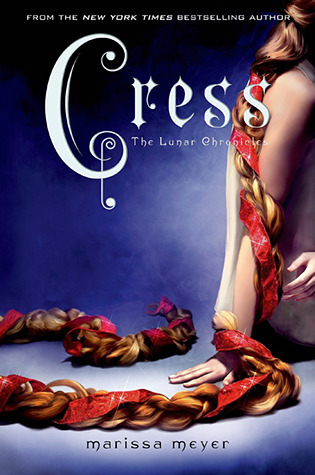 You get The Lunar Chronicles by Marissa Meyer. I've been reading this series from the first. I found Cinder in my local Barnes and Noble and was immediately sold on the premise. 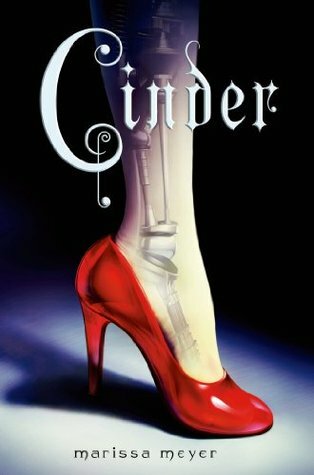 It was about a cyborg Cinderella! How could I pass that up? I went home and immediately devoured it in one sitting and I've done the same with each book in the series. The following books are retellings featuring fairy tale favorites like Little Red Riding Hood, Snow White, and Rapunzel. The fairy tale elements used in each book is done so well that sometimes it's not immediately apparent that they were used. Marissa Meyer did her research when it came to the fairy tales she used and it shows. This series is wonderful sci-fi goodness with lots of action, political intrigue, and super cute romances. Seriously. The sci-fi and fairy tale elements in this series are amazing, but the characters are what makes it so special. This series also has a villain that I really and truly hate. This is the first series that I recommend when friends ask me for fairy tale retelling recommendations. It's awesome and I think everyone should read it! We're trying something a little different with our Show Me Yours feature this week. In addition to recommending some books in the original post, we're spotlighting some of our favorites that we've featured previously on the blog. So we'll be showing you ours all week long. This week's topic is fairy tale retellings. If you want to show us your favorites, comment on the original post. 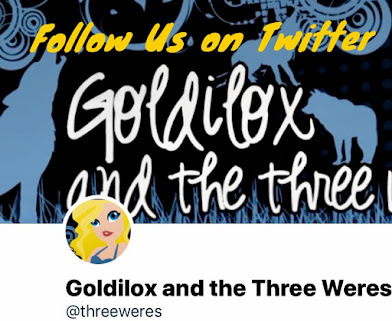 When we think of fairy tale retellings the first ones that come to mind are usually Cinderella and Snow White reboots, but there's more than just the Brothers Grimm in the fairy tale canon. Baba Yaga is the wicked witch of Russian folk lore and I love the way Deborah Blake updated the myth for her PNR series. Baba Yaga is not a name but a title, and there are three of them across the U.S. Instead of the traditional house on chicken legs, each Baba has her own version of a mobile home. But the Babas are still summoned the same way they've always been, by someone petitioning for help. Each one has a different kind of elemental magic, earth, fire or water, that she uses to help her solve the problem. I especially liked the way each book featured an environmental issue that tied into the Babas' powers. And, like I mentioned in an earlier spotlight, I like the fact that a character from children's stories gets to have an adult romance. Uprooted was everything I wanted it to be and more! 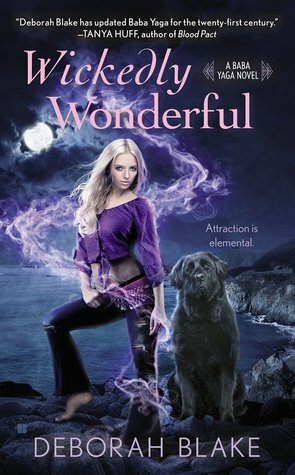 A Dragon who isn't a dragon, a witch who doesn't do normal magic, and an amalgam of fairy tale elements were all rolled into this book and the product was absolute perfection! I loved everything about this book! The setting, the characters, the magic, the conflict... EVERYTHING! It has that modern fairy tale feel to it similar to that of Neil Gaiman's Stardust and a storytelling style very reminiscent to that of Robin McKinley. This book has definitely made my list of all time favorite books I've ever read. I think it may have even achieved a spot in the infamous Top Ten. I have so much love for this book already and I can only imagine how that love will grow with each rereading as little details make themselves known. Simply put, this is a story EVERYONE needs to read. Seriously. Go read it. We've been talking about retellings this week so I thought I'd share one that I'm looking forward to. In Monday's Show Me Yours post I told you how much I loved Christina Henry's Alice. The sequel is coming out this summer and I can't wait. One of things that made Alice so creepy for me was that all of the women in the Old City were victims, even Alice, though she overcomes her past in some ways. I'm really excited to see the difference powerful women make in this world. Alice is becoming more powerful herself as she discovers her magical abilities, but she's also meeting the queens. I also thought that her relationship with Hatcher was really interesting. It's not exactly a romance, but it might turn into one. 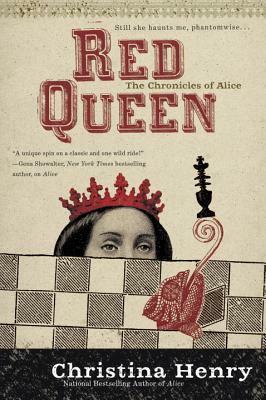 I'm curious about how it will play out in Red Queen. In one of my reviews I described the Transplanted Tales as what would have happened if Once Upon a Time aired on HBO. The characters come to our world in a similar way to the ones on the show, via a spell gone wrong. But many of these characters from fairy tales (and nursery rhymes and classic literature) become criminals in their new home. Snow White and the Seven Dwarves run a brothel, for example. It's a darker version of what might become of these familiar characters. It's also one of the rare adult retellings and I loved the idea of transforming children's stories into something more mature. One book features a serial killer and another a fairy dust smuggling ring. Enter Detective Tess Little (Red Riding Hood) and her friend CSI Trish Muffet - she was my favorite. 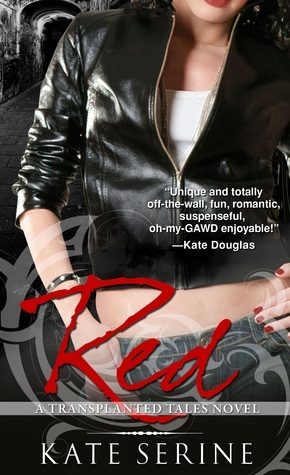 Each book focuses on a new couple, but Red is usually involved in solving the mystery as well. 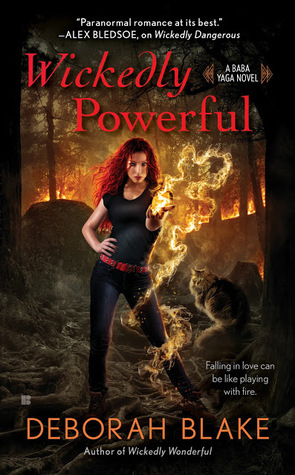 If you're tired of all the YA fairy tale adaptations, check out this adult PNR series. 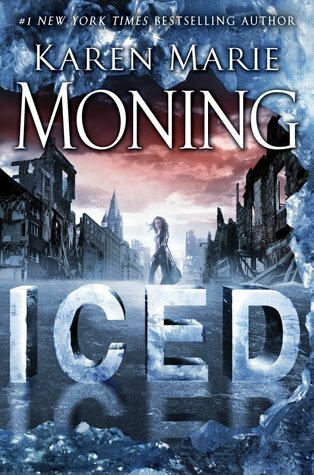 How do these books keep getting better and better as the series goes on? I loved everything about this book! The plot, the writing, and the characters are so on point that it feels like a dream and not a real book. 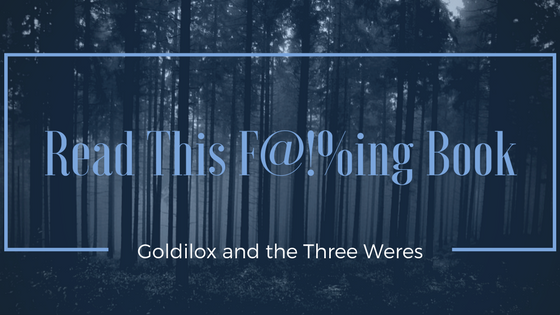 The more I thought of what to write for this review the more I became convinced that it's one of those books that you should go into a little blind so I'm just going to leave you with my initial reaction from Goodreads. I really can't think of a better way to review this that wouldn't involve spoilers. "Well... hell. I did not see that coming. I saw none of that book coming. Holy hell! This series is SO amazing! How is it possible? Seriously. All of these books have been so full of everything I love all wrapped up in beautiful writing. 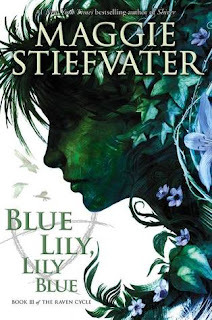 Maggie Stiefvater is a freaking genius! This is a series I think I'll be finding something new with each reread for years to come. It's so good! And I'm shipping everyone together. Especially Pynch. I'm shipping Pynch so hard right now! Oh my goodness! How the heck have you all that read this when it came out been waiting for book four? Seriously. How? I only have to wait two months and I'm thinking that will be a long and terrible wait. How have you all waited a year and a half? I think this is the most scared I've been for the last book in a series in a very long time. I NEED TO KNOW WHAT HAPPENS NEXT!" Yes. I went online and found out what the ship name for Ronan and Adam was. I'm totally behind that friendship becoming more. That aside. How have people waited for eighteen months for The Raven King without going insane? Seriously. HOW?!? 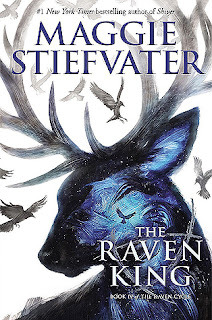 Now let's just all keep our fingers crossed that Maggie Stiefvater doesn't completely crush us with this next book. My anxiety levels are so high waiting for this book. I need for all of these characters to make it out okay. I'm all for #SaveGansey2016. I can't even begin to predict what's going to happen in the next book but I need it in my life! Recently, I had a hankering to read a fairy tale retelling but there are so many out there now that I don't know where to start. Fairy tales have been a solid part of my reading diet since I’ve been small. A lot of it has to do with the fact that I grew up during the time when Disney was releasing some of their most popular fairy tale based animated movies. I remember going to see The Little Mermaid, Beauty and the Beast, and Aladdin in the theater! Not to mention, my sisters and I wore out the VHS tapes of Snow White, Cinderella, and Sleeping Beauty. After growing up on Disney movies and the dark fairy tales by the Brothers Grimm, I discovered my first fairy tale retelling in Ella Enchanted and I haven’t turned back. I love reading both a story that is familiar but yet different at the same time. I’ve devoured retellings of Cinderella, Sleeping Beauty, Donkeyskin, The Twelve Dancing Princesses, Snow White, Rapunzel, Beauty and the Beast, and many more. And if it’s a retelling of an obscure fairy tale, I'll read it just because so you can just take my money now. I’ll admit that I’ve read some truly terrible retellings. But for every terrible one, I’ve found one that has blown my socks off! And I’ll be honest, if given the choice between a fairy tale retelling and a super popular contemporary, I’ll choose the fairy tale retelling every time. 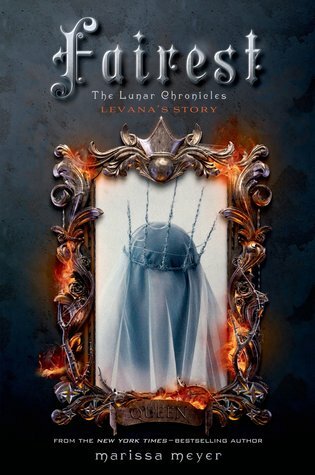 I've read a lot of the popular retellings like Spindle's End, Beauty, Uprooted, and The Lunar Chronicles. I know there's been a Fairy Tale Retelling revival recently especially in YA. Have you read any of them? I need recs badly! 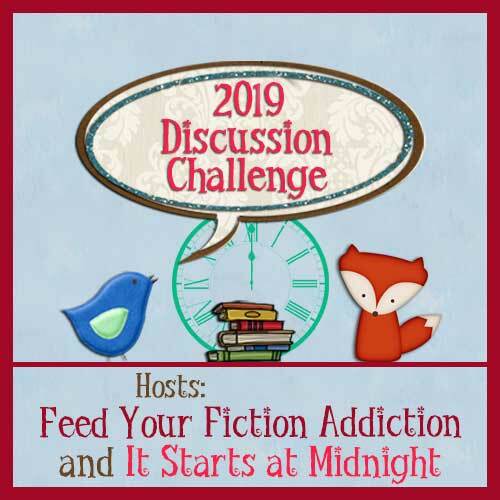 I haven't read many retellings, though I have a ton of them in my TBR pile - A Court of Thorns and Roses, Dorothy Must Die, The Lunar Chronicles, The White Rabbit Chronicles, and probably some others I'm forgetting. But I can recommend a few. 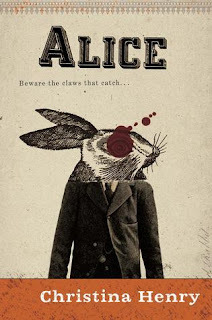 Christina Henry's Alice was one of my favorite books of 2015. It's one of the rare adult retellings, and we're talking NC-17 adult here. Alice was institutionalized after her first trip to the Old City, but when the asylum burns down she and and her fellow inmate Hatcher escape. 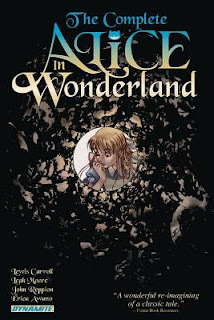 Alice is forced to confront her fears and starts to understand the memories that terrorized her for the last ten years as they navigate a world of run by magical mobsters. The sequel, Red Queen, comes out this summer. 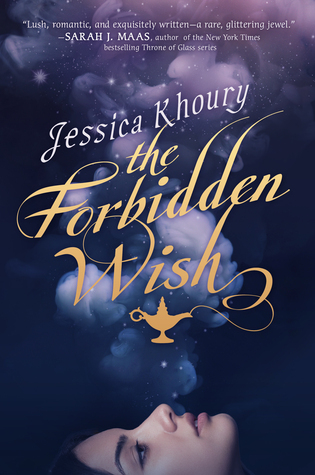 The Forbidden Wish by Jessica Khoury is the first retelling of Aladdin's story that I've seen. It's told from the jinni's point of view and delves into the jinn mytholgy, which I thought was really interesting. 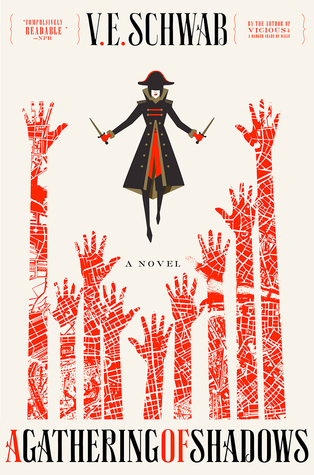 I had a few issues with the story, but the YA community is loving it. It was featured in a subscription box last month and has gotten great reactions so you might want to give it a try. 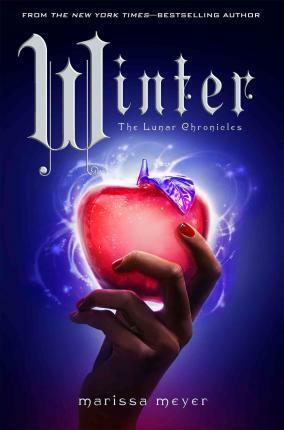 What are your favorite Fairy Tale Retellings? Why do you think I should give them a chance? Now let us show you ours! 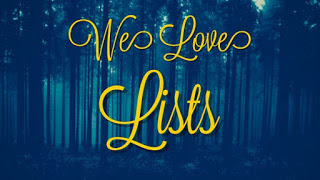 We're going to spotlight some of our favorite retellings we've reviewed on the blog throughout the week. 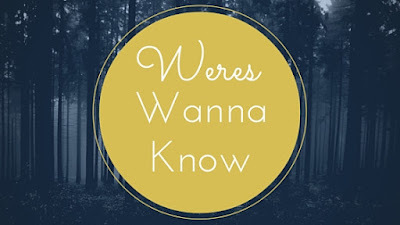 Weres Wanna Know: How Often Do You Give a Book 5 Stars? We all probably have that one friend on Goodreads who seems to give everything 5 stars. The one that when you see her post a 4 star review, you snark to yourself, "wow, she really hated that one." I know I have at least one of those. (I also have one friend who seems to hate everything, but that's a whole other post.) I recently felt the need to defend a 4 star rating, which was already well-explained in the review, to one of those "everything is awesome" people, so today I want to talk about 5 star reads. How do feel when you finish a 5 star book? How often do you get that feeling? So far this year, I've given 5 stars to 2 of 27 books I've read. (I'm a little behind on my reading goal.) Last year it was 17 out of 161 and in 2014, 34 out of 228. So that's about 12% of the books of I've read over the last 2+ years. And that number includes some 4 1/2 star reviews since Goodreads doesn't let you click on half stars. Most of the time I know how I'm going to rate a book as soon as I finish reading it. I just feel like "that's a 4" (or a 3 or whatever) even before I've thought through what I did or didn't like about it. I did try to recalibrate myself a bit when I felt like I was defaulting to 4 stars too much, so I give more 3's and 3 1/2's than I did two years ago. But I've always known how a 5 feels. It's like having your mind blown, being rendered speechless, and not wanting to change a single thing. It's those times when you want to hug the book. I think if I have anything negative to say about it, that's not a 5 star book. So, for example, a slow start with an amazing second half might be a 4 1/2. Maybe I'm stingy with the 5 star ratings. I've read eight of last week's RT award winners and I only gave two of them 5 stars. But I look at it like getting 100% on a test. It can happen, but it's rare. And that's what makes it special. What's your 5 star feeling? How often do you get it? Let's discuss! 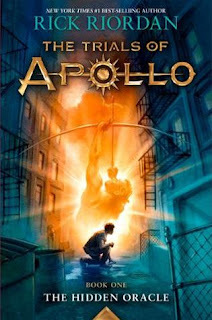 I adore Rick Riordan's books! I fell in love with Percy Jackson in an airport when I was traveling for a grad school interview across the country. I had forgotten my book at home and The Lightning Thief was the only book that caught my attention in the airport bookstore. I bought and devoured it on my flight. On my next layover, I bought the next book and proceeded to devour it over the next leg of my trip. I bought the next two books for my return trip and by the end of that trip Rick Riordan had earned a spot on my autobuy list. I've bought and devoured every one of his books since then and I fall a little more in love with them with each one. That being said, as much as I love his new Norse mythology series, I'm so excited to return to the world of Percy Jackson with this new series! I can't wait to see my darlings again from the eyes of a demoted Apollo! I need this book in my hands! 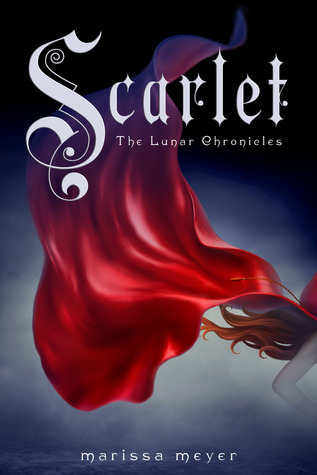 I was browsing Netgalley one day and the cover for this comic intrigued me enough to check out the synopsis. Chemist heroine and a mad scientist boss? I'm getting Frankenstein-esque vibes from the art so... Heck Yes! Please get in my eyeballs! 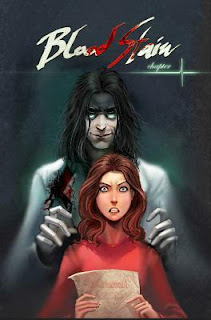 I enjoyed this webcomic turned graphic novel quite a bit more than I thought I would. Elliot Torres has been looking for a job for two years and hasn't had much luck. Some of her joblessness is her fault and some of it isn't as the comic details the few jobs that she was able to land in her search that didn't work out for various reasons. She's starting to get a bit desperate when she comes across a job listing for a lab assistant position with a rumored mad scientist. Sounds awesome, right? The story is slow developing but I thought this volume started off great! The story part itself is quite short though thanks to lots of bonus material at the end. The bonus stuff was nice but I would have rather had more story. It was just getting to the good part! Other than the length, my one real complaint about this comic was the choice of the white font on the black in Dr. Stein's frames. The font was too skinny and I had a hard time figuring out what the good doctor was saying in his bubbles in the digital edition. I really enjoyed how the story started and I'm looking forward to seeing how the characters play out! Due to the short length, I had the entire volume read in less than thirty minutes. I'm really excited to find out what happens next. I need more! Join Alice on her whimsical journey down the rabbit hole. For the first time ever, Lewis Carroll's beloved masterpiece is faithfully adapted and illustrated in its entirety, including the long-lost chapter, "The Wasp in a Wig!" From her initial meeting with the White Rabbit in Alice's Adventures in Wonderland, to her final dinner party with the entire (and outrageous) Through the Looking Glass cast, every moment of Alice's adventures in that astonishing landscape is captured in gorgeous detail. With old favorites like the Cheshire Cat and the Mad Hatter joined now by a long-forgotten Carroll creation, The Wasp, in one of the book's latter chapters, children and adults alike can rediscover the complete Alice tale and fall in love with Wonderland all over again! I loved Lewis Carroll's Alice's Adventures in Wonderland as a kid and read it many times. Thanks to my childhood obsession, I know the dialogue pretty well so I can say with some authority that this book is SO close to the original text. Although I was sad that it still left out some of my favorite lines but that's to be expected in a graphic novel adaptation. And if someone isn't familiar with the original, it won't be much of a problem because the context isn't changed. Unfortunately, the art style of this graphic novel wasn't my favorite and it took away some of my enjoyment while reading. Alice's Adventures in Wonderland is an odd story with a weird atmosphere so I don't what I expected of the art but to me it felt like there was something a bit off about the illustrations. That is just my personal opinion. The color palette used for the pictures fit the story though! Overall, this graphic novel was good and I can see many people enjoying it. But the art style just wasn't for me.